Shopping for Hobbit / Lord of the Rings Key Chains? Bring a little piece of Middle Earth on your adventures! The Lord of the Rings Frodo Pocket Pop! 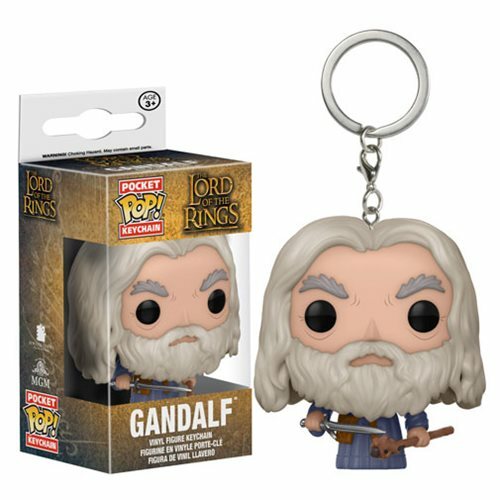 Key Chain features the Hobbit styled just like a Pop! Vinyl figure, but scaled to fit in your pocket. The Lord of the Rings Frodo Pocket Pop! Key Chain measures approximately 1 1/2-inches tall and comes packaged in a window display box. Ages 3 and up.